Well, it looks like Warcradle is on the move again. The new studio making Wild West Exodus has made a deal with Spartan Games that they will continue on the Dystopian and Firestorm universes. They've posted up a video discussing the new announcement, and we can look forward to more updates in the coming months. Check out the vid below. Well, this seems a bit sudden. But Spartan Games has posted a statement on their website that they will be closing. Spartan Games is looking to massively expand their Firestorm Armada range. They have launched a Kickstarter campaign in order to do just that. 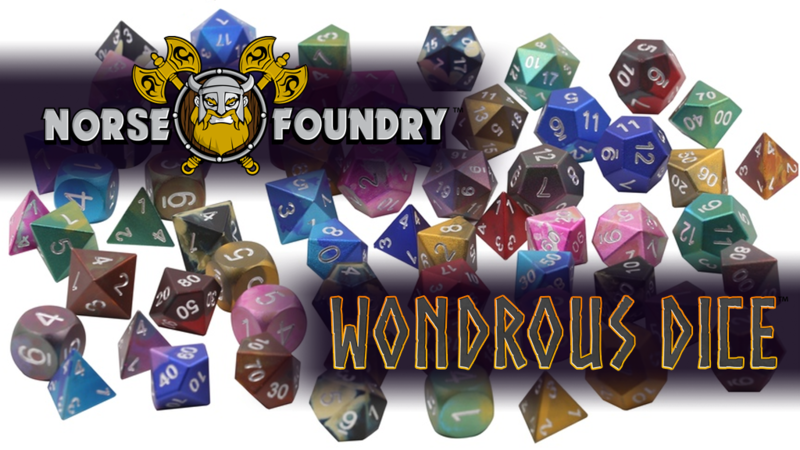 The project contains a couple different 2-player starts (and we all know how much I love those), a 3.0 set of rules, as well as core faction expansions and other goodies. Whether you're a veteran captain or a rookie ensign, there's a bit of everything for you. We all know my love of free-to-download rules sets. They give players a chance to read over and possibly try a game before they buy it. So, assuming you like the rules, you then go and pick up a force for yourself. Well, if you're checking out the Dystopian Wars: Fleet Action fast-play rules, Spartan Games has put together some special bundles so you can get your fleets ready to go. It's hot outside. Really hot. I think it's best to stay inside and just do some gaming. And the folks at Spartan Games feel the same. In fact, they're giving you a special offer over in their webshop. Just make certain purchases and end up with some cool free stuff. Spartan Games has started taking pre-orders for what will be the first in their new series of "out of the box" board games. That is to say that everything you need is all in one package. This first outing is Firestorm: Strike Force. Take command of a wing of fighters and square off against your opponent in this high-speed, high-stakes game of maneuvering. Spartan is taking pre-orders now, with a special bonus for those that order this month, doubling the amount of fighters that you get in the game. 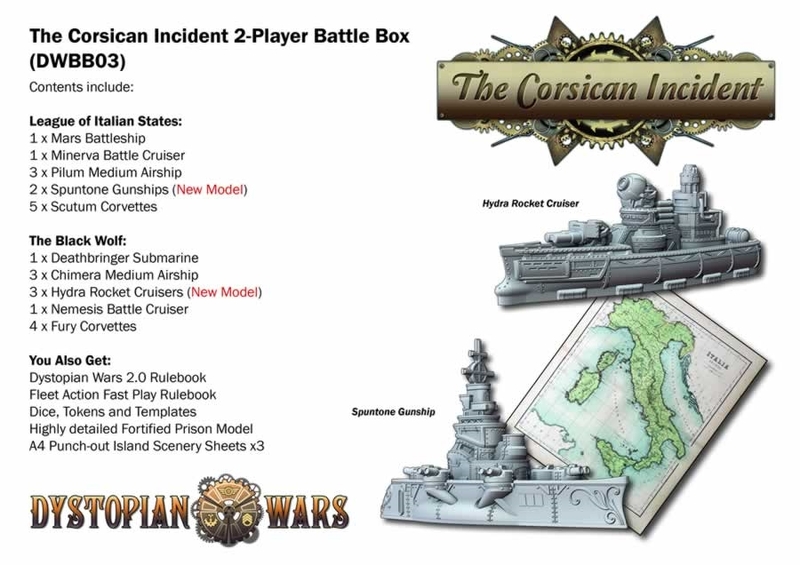 There's a new 2-player starter set coming out for Dystopian Wars. You all know my love of 2-player starters. This one is called Operation North Star. It pits the Teutonic Order from Scandinavia against the Dominion of Canada. Along with the 2-player kit, there's numerous other sets for the game that are available to pre-order now. They'll begin shipping out in August. The folks at Spartan Games have a whole bunch of new releases available to pre-order for a trio of their games. Both Halo Wars: Fleet Battles and Ground Command are getting some new ships (a couple of them huge, relatively), and there's a new edition of Dystopian Wars you can pick up the rulebook for, plus the Republic of Egypt makes an appearance. 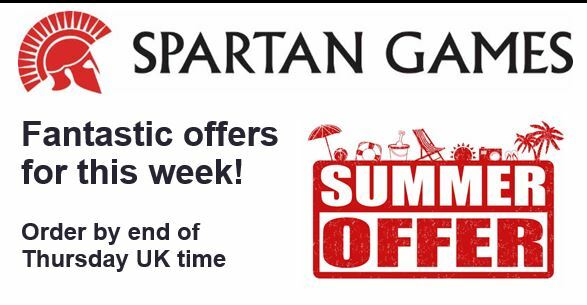 Spartan Games is giving you a chance to get something for nothing. This weekend spend £50 in their webshop and get a free rulebook of your choice. Want to start one of their games but were waiting for some sort of special? Want to get a friend into a game? Just need to replace a beaten-up book? This weekend's your chance to do it. Spartan Games has their first releases for the new year up on their website. They've got new releases for three of their games: Dystopian Wars, Firestorm Armada, and Halo: Ground Command. So you've got some steampunk, some sci-fi space battles, and some sci-fi ground battles. Pretty nice spread there. Is this week just rocketing by for anyone else, or just me? I mean, it's already Wednesday. Well, seeing as it is Wednesday, let's get ourselves stocked up on some bite-sized gaming stories. Today we have: Public Alpha For Cold Start Posted, How to Paint Board Game Miniatures: The Beginners Guide to Painting Board Game Miniatures Now Available, Terrible Kids Stuff - Christmas 2016 releases, Battle for the Universe Coming to Kickstarter in January, Jet Bike Construction Kit Up On Kickstarter, Oddzial Osmy’s 3mm November Releases Arrive at PicoArmor, Khurasan releases two 15mm fantasy sets by Tom Meier, Final Week for The Roots of Magic On Kickstarter, Dystopian World Expansion Passes Funding Goal, Ouroboros Tales Posts New Stretch Goals, New Viking Shield Sets Available from Tabletop-Art, Brother Vinni Holiday Sale Happening Now, 15mm 1st Carlist Wars & Spanish American War (1898) back in production, and New Junk City Bases Available From Kromlech. A couple weeks ago, Spartan Games had announced that they were going to come out with a new game. Players... didn't really like the idea. That caused Spartan to send out a survey going, "Ok, what is it that you would like?" The players responded. 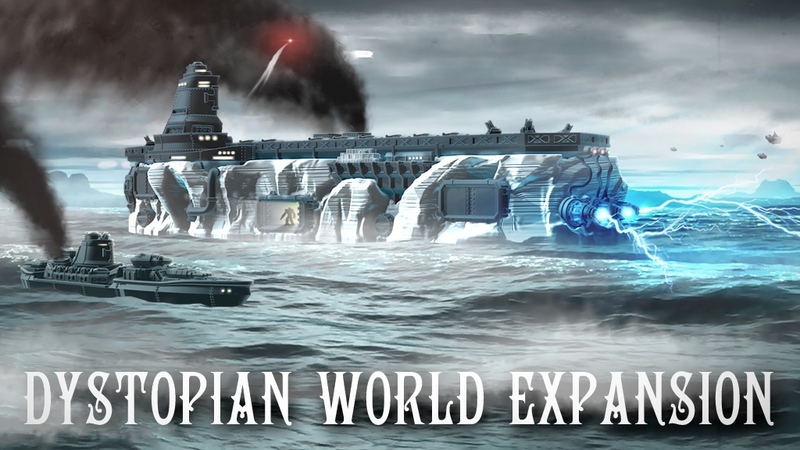 And now Spartan has held up their end by launching a Kickstarter campaign to expand the world of Dystopian Wars. We're a couple weeks away from it being December. Holiday shopping will start any time now (or possibly has already started for some people). Well, if you're fans of Dystopian Wars or Halo: Ground Command, you can go ahead and start your shopping as well, as the December releases are available to order over in the Spartan Games webshop. Do you like games? Do you like talking about games? Do you like getting other people talking about games? Do you like to organize events? Would you play a bean-eating game with George Wendt? Ok, skip that last one. But if you answered "yes" to the previous, than Spartan Games just might have a job for you as their new Community Manager. Tanks have been a part of warfare for over 100 years now. And even before that, there were things like war elephants that were basically the tanks of their time. 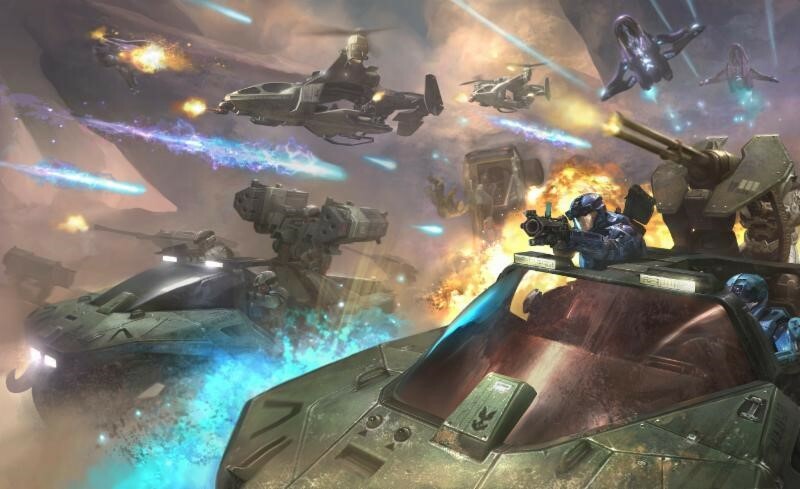 Well, in the far future of the Halo universe, tanks still play a major role in combat. 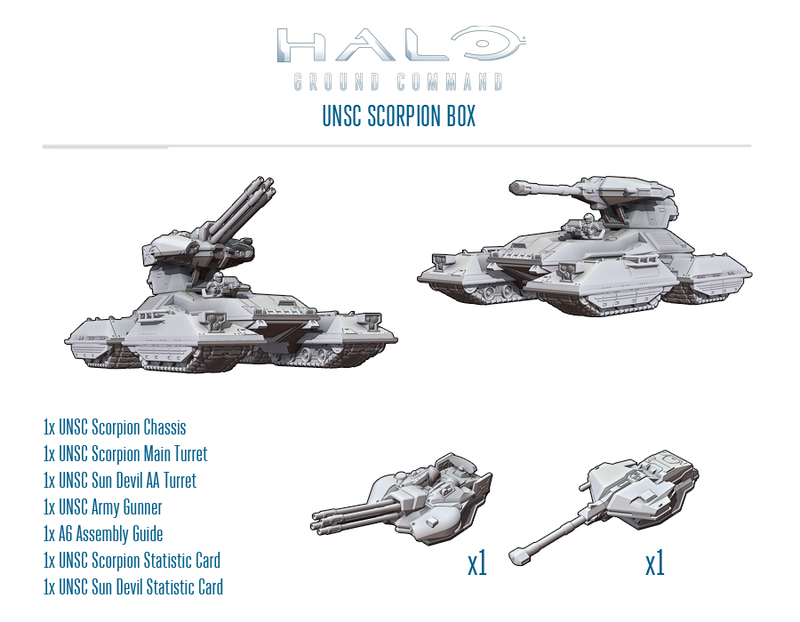 Next month, two tanks will be making their way to the tabletops for Halo: Ground Command. Hard to believe we're already into September. There's been a lot of cool things that've come out this year. One of which is Halo: Ground Command. Spartan is working on sending those out to everyone that ordered (there's been a bit of a back-log, but they're working through it as fast as they can). As they finish those up, it's time to look ahead to what will be coming out next. And it's those that Spartan has started taking orders for over in their webshop. We've made it, everyone. We're into Friday. Just gonna finish up the day and we'll be into the weekend. The end is in sight (and it's not just a freight train at the end of the tunnel... ... ... I hope). But if we're going to have a weekend full of gaming (as I hope to have), we'll need to fuel up on some bite-sized gaming stories. On today's platter we have: Spartan Games Running Summer Survey, Norse Foundry Running Wondrous Dice Kickstarter, Dice Coins Up On Kickstarter, Mage Company Posts Raid & Trade: Bloody Package Scenario, Carrotia Kickstarter Preview Posted, Time Almost Up for Arkham Nights Party Game Pre-Orders, New Space Invader From Brother Vinni, Brigade Models Releases 6mm Hammer's Slammers Vehicles, and Sally 4th Releases Combat Patrol Unit Record Cards. We've got just under a week left in July. Spartan Games had said that they were going to be shipping out Halo: Ground Command in July. That means that the game should be shipping out this week. 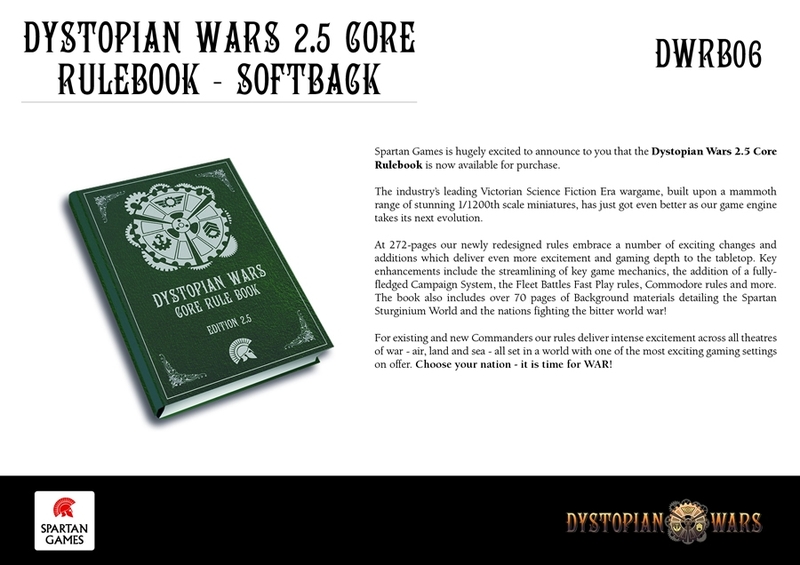 Well, that, and Spartan sent out a press release saying it was going to be shipping this week. So there's that. You've been waiting patiently (or possibly less-than-patiently, but I can't really blame you) and the time is almost here. Spartan Games will be releasing their second game to take place in the Halo universe with Halo: Ground Battles. We're just over a month away from you getting them and the final Starter Box contents have been announced. Painting a miniature is its own reward. 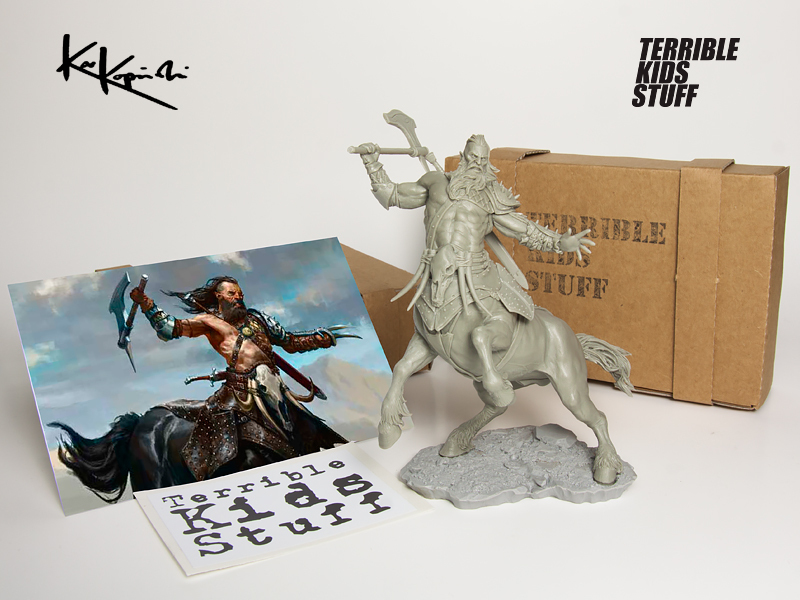 You've got a little work of art that you can also use to attack your opponent's forces and achieve total victory on the gaming table!! But hey, if you're really good at slinging that colored goop around, you could also get extra prizes if yours is deemed the best. Spartan Games feels so, anyway, and so they're running a painting contest. There's a new group of pre-orders available over on the Spartan Games website. There's a tourney kit. There's some deluxe flight token sets. But what most people are probably going to be interested in (if I had to take a guess), would be the OmniDyne and their new box sets. Something big is coming from Spartan Games for their Halo: Ground Command game. Well, two big somethings, anyway. They're the UNSC Pelican Dropship and the Covenant Phantom Dropship. They're... well... big. 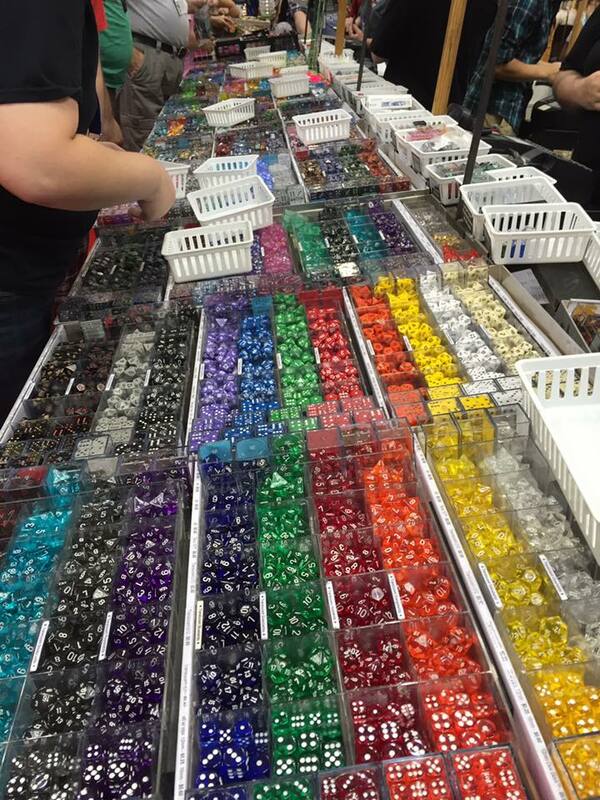 Back at Gen Con last year, in the Spartan Games' booth, there were some miniatures on display for the next Halo game to be coming from the company. We had Halo: Fleet Command, but what about all the fun of running around on the ground, jumping into Warthogs and taking on the Covenant man-to-alien? Well, that time has come, as Spartan Games has started taking orders for Halo: Ground Command.